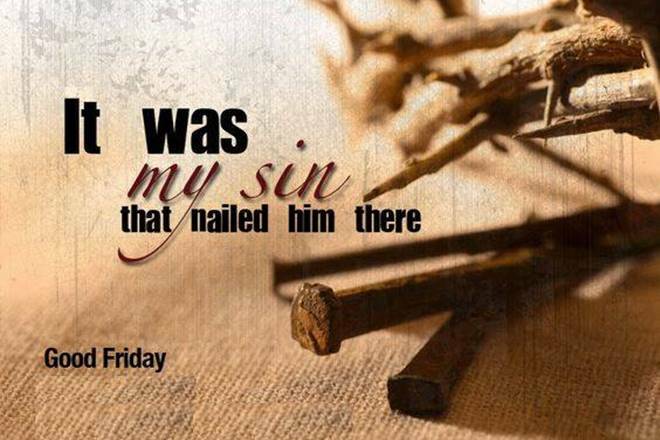 What's So Good About "Good Friday"
"My God, my God, why hast thou forsaken me? why art thou so far from helping me and from the words of my roaring? Psalm 22:1. King David wrote those words and centuries later our Lord Jesus Christ cried out these very words as He hung on the cross. As we read through the 22nd Psalm it's clear that David wrote these words of prophecy as if he had been transported into the future to stand at the foot of the cross himself. He writes of bones being out of joint and exposed so they are able to be counted, hands and feet being pierced, and casting lots for garments. All this describes Jesus' torture and crucifixion, but His cry to God the Father is heart-wrenching. "And at the ninth hour Jesus cried with aloud voice, saying, Eloi, Eloi, lama sabachthani? which is being interpreted, My God, my God, why hast thou forsaken me?" Mark 15:34. Those words break my heart. The anguish in His voice echoes throughout the ages. At that moment in time, God the Father could not look upon God the Son. In all of eternity that had never happened. Jesus was sinless, but God the Father could not look upon Him because He had become sin in our place. "For he hath made him to be sin for us, who knew no sin, that we might be made the righteousness of God in him." 2 Corinthians 5:21. Never think that you, by your own merit, are worthy of salvation. What Jesus did on the cross was something only He could do. Fully God and fully man, He took our sin and willingly allowed Himself to be the once for all sacrifice for our redemption. At the moment He cried out those words do you think that Jesus thought He had made a mistake? No. He chose the cross because He loved those people standing there, and He loves you and me. It's important to study Biblical prophecy. It tells us what will come to pass, but it also confirms that God's word is true because many prophecies have already been fulfilled. Over 300 prophecies foretold of Jesus' first coming, including some extremely graphic ones that described His death. Isaiah chapter 53 contains details of the Messiah that are quite descriptive of Jesus. "He is despised and rejected of men; a man of sorrows, and acquainted with grief: and we hid as it were our faces from him; he was despised, and we esteemed him not." Isaiah 53:3. The Messiah was rejected by the Jewish leaders on behalf of the nation as a whole, but some individuals recognized Him. Peter was one who had followed Him for three years but ran and hid in fear when Jesus was arrested and crucified. Many Christians today still try to hide from Him. We accept His sacrifice but then knowingly embrace sin. Then we stop reading His word or fellowshipping with fellow Christians. We reject Him and don't esteem Him or His sacrifice. Shame on us. "Surely he hath borne our griefs, and carried our sorrows: yet we did esteem him stricken, smitten of God, and afflicted. But He was wounded for our transgressions, he was bruised for our iniquities: the chastisement of our peace was upon him: and with his stripes we are healed." Isaiah 53:4-5. Transgressions (pesha' in Hebrew) is rebellion and iniquities ('avon in Hebrew), is perversity and depravity. Even the best of humans will willingly follow the path of sin that leads to destruction. Little white lies are as much sin as the big, ugly ones. Jesus was beaten to a bloody pulp and whipped until His bones were exposed because of our transgressions and iniquities. In spite of knowing what He would face, He still chose the cross and bore our griefs and sorrows. "All we like sheep have gone astray; we have turned every one to his own way; and the LORD hath laid on him the iniquity of us all." Isaiah 53:6. Sheep are followers but they don't always follow the wisest path. That's why they need a shepherd to guide and protect them. Sheep tend to stray into danger, and we are like them. That's why we need Jesus..
"I am the good shepherd: the good shepherd giveth his life for the sheep." John 10:11. We all follow someone or some thing, and Satan wants us to follow him. That's when our path becomes dangerous. When we follow Satan we sin and follow the path that leads to destruction. Every sin that you or I have ever committed, or ever will commit, was laid upon Jesus as He hung on the cross. He took our sins willingly. He cried "My God, my God, why hast thou forsaken me?" because of our wrong choice to follow the path of Satan and the world. Why do I continue to sin when I know how much grief I've caused Jesus? I'm so sorry, my Lord. Please forgive me. Death had been introduced into the world through Adam's sin. That separated humans from God and sin ruled men's hearts. We were under the curse of death because of Adam's choice. God wanted people to understand that sin separates us from Him and showed what sin is through Jewish Law. God's standards are so much higher than ours, but the Law was only the instructor and not the cure. Some sins required capital punishment, but stoning was the method of putting a criminal to death, not crucifixion. Blasphemy (claiming to be God) was one of those capital crimes. "And if a man have committed a sin worthy of death, and he be to be put to death, and thou hang him on a tree: his body shall not remain all night upon the tree, but thou shalt in any wise bury him that day; (for he that is hanged is accursed of God;) that thy land be not defiled, which LORD thy God giveth thee for an inheritance." Deuteronomy 21:22-23. It's odd that we find reference to someone being put to death and hanged on a tree. The Apostle Paul talked about this in his letter to the Galatians. "Christ hath redeemed us from the curse of the law, being made a curse for us: for it is written, Cursed is every one that hangeth on a tree: that the blessing of Abraham might come on the Gentiles through Jesus Christ; that we might receive the promise of the Spirit through faith." Galatians 3:13-14. Jesus became sin for us and His death, burial, and resurrection opened the door for Gentiles, by faith, to also find salvation. Jesus was accursed and hung on the cross and He took the punishment for our sins upon Himself. Christ fulfilled the Law and only through Him can we find redemption. We owe everything to Jesus and when we accept what He did we need to allow changes in our life that moves us from a sin-filled life to one that honors Him. During His time on earth, Jesus had done many things to upset the Pharisees. He healed people on the Sabbath and gathered food on the Sabbath, but did He claim to be God? Yes, He did. He was God in the flesh, but the religious leaders were blind to the truth. After one heated debate, Jesus said "I and my Father are one." John 10:30. That doesn't translate well into English, but the Pharisees understood. "Then the Jews took up stones again to stone him. Jesus answered them, Many good works have I shewed you from my Father; for which of those works do ye stone me? The Jews answered him, saying, For a good work we stone thee not; but for blasphemy; and because that thou, being a man, makest thyself God." John 10:31-33. Blasphemy (claiming to be God) was the reason the Pharisees wanted Jesus killed and they were able to convince the Romans to crucify Him. If the Old Testament prophecies regarding the Messiah's death were false, the prophet would have described Jewish stoning and not crucifixion as the way He would be killed. When the Romans occupied Jerusalem, stoning was outlawed and crucifixion was the way a criminal was executed. Jesus was not a criminal, but prophecy is clear that Messiah would not be stoned, He would be crucified. In fact the prophet Zechariah gave prophetic words regarding a still future time when the nation of Israel will understand who Jesus was. "And I will pour upon the house of David and upon the inhabitants of Jerusalem, the spirit of grace and of supplications: and they shall look upon me whom they have pierced, and they shall mourn for him as one mourneth for his only son, and shall be in bitterness for him, as one that is in bitterness for his firstborn." Zechariah 12:10. One day the nation of Israel will understand that Jesus was Messiah and that He was crucified, not stoned, for their sin and the sin of the entire world. When the events of the day of crucifixion had come to an end, Jesus gave up His life. Those who had stood at the foot of the cross watched as He suffered and had seen the Roman soldiers cast lots for His robe, they heard Him ask that the Father would forgive those who had abused Him and pounded the nails into His hands and feet, they heard Him promise the criminal next to Him that, because he had recognized who Jesus was, he would be in Paradise that day. Jesus gave the care of His mortal mother Mary to John and at last all was finished and He give up the Ghost. "When Jesus therefore had received the vinegar, he said, It is finished; and he bowed his head, and gave up the ghost." John 19:30. Those who were gathered around heard His final words and they saw Him die. They had no way of knowing that the victory had been won! Joseph of Arimathaea asked for the body and He was put into the tomb, which was sealed and guarded by Roman soldiers. What did His mother and friends think? They had hoped that Jesus was the longed for Messiah, but now He was dead. The cross had claimed another life. We can look back and know that their grief would soon turn to joy! The day of First Fruits was coming. Hallelujah, Christ is risen! When Jesus said "It is finished" He wasn't talking about the limited hopes of a handful of people. Jesus meant that the battle was finished and Satan lost. He won our fight. He chose the cross and He won! Death is no longer the end of life for anyone who has accepted the shed blood of Jesus as the final sacrifice for sin. 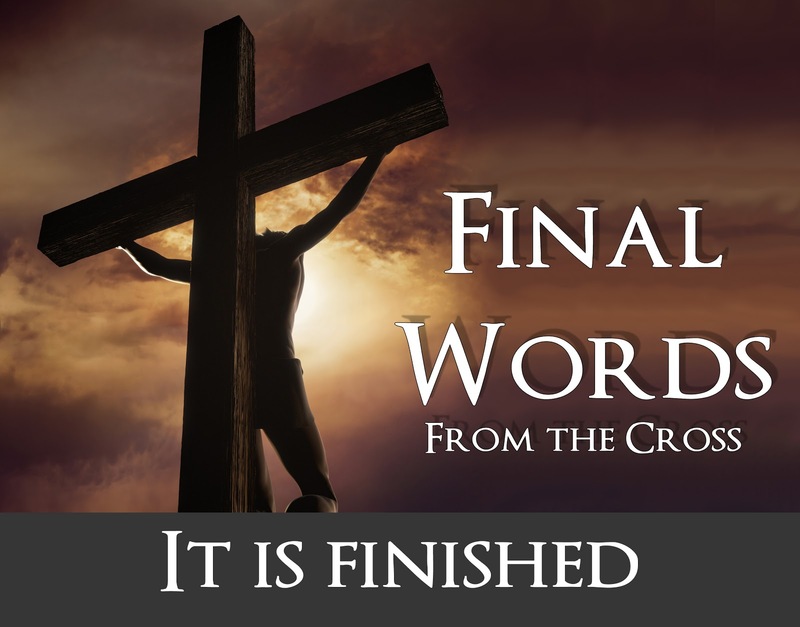 Jesus said "It is finished" and He meant it. 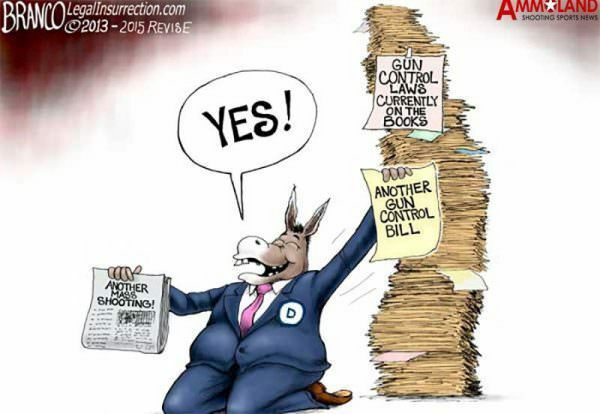 There is nothing more that needs to be done. Why, then, do we insult Him by adding anything to His victory? Baptism? It's obedience and a way to honor Him, but only His shed blood brings salvation. Looking to Mary for "help" in salvation is blasphemy. There is no other path that leads to salvation, so if you think that you can blaze your own trail to Heaven you're very deceived. Look to Jesus...look to the cross.